Is Inhalants Rehab Aftercare Necessary? What is Inhalants Rehab Aftercare? For many people, rehab is an effective step in getting clean and learning to manage a drug addiction. However, treatment doesn't have to end with rehab. Aftercare is a system of continuing support for the person struggling with addiction and is essential in preventing relapse and maintaining long-term recovery. Yes, aftercare may be especially recommended for inhalant abusers. According to research inhalant addiction tends to correlate with antisocial tendencies, leading to deviant behavior, like crime and theft, self-harm, absenteeism, relationship difficulties and running away from home (for adolescents). Aftercare is a form of continuing treatment for drug addiction after leaving a treatment center, and may involve programs such as therapy, community living or management with the help of medication. Inhalant dependence frequently presents with comorbid substance abuse and psychiatric problems, so a main priority in aftercare is managing these factors. In the case of inhalant abuse in adolescents, periodic family assessments should be performed to make sure the home environment isn't detrimental, with emphasis on parental negligence, substance abuse, and mental health problems. The National Institute on Drug Abuse stresses the importance of continuing care, in general, as an important tool in managing addiction and avoiding relapse. There is very little literature on treatment and aftercare specifically for inhalant addiction. However, past studies have shown that many continuing care techniques, such as sober living communities, support groups, and therapy help lower the risk of relapse for other types of addiction. Addiction treatment often results in relapse - in fact, relapse occurs in between 40 and 60 percent of all drug addiction cases, according to the National Institute on Drug Abuse. A lack of research on inhalant addiction treatment means relapse rates for these drugs are still unclear; however, some small-scale studies have indicated relapse rates of more than 50 percent. Given the high rates of relapse in drug addiction cases, relapse prevention is important. Prevention techniques may encompass a variety of strategies, which may differ depending on the drug and the factors that are most likely to lead to relapse. Medication, therapy, and social support are all strategies that may be used in relapse prevention. Inhalants have high use rates among adolescents, as compared to other drugs, and it's thought that peer pressure plays a large role in their use. As such, therapy and social support programs designed to help adolescents maintain abstinence in high-pressure social situations may be helpful strategies in preventing relapse of inhalants use after treatment. A review from the Australian government recommended an emphasis on social and psychosocial interventions, including counseling and family interventions with an emphasis on self-monitoring techniques, managing emotions, and making healthy decisions. Studies conducted with the Australian indigenous communities also lend credence to the benefit of having leisure programs so that adolescents can be actively engaged in community events after residential treatment is complete. Outcomes were positive for post-residential treatment abstinence, attributed largely due to engagement programs that provided adolescents with an outlet, thus preventing relapse due to boredom, craving, and easy accessibility. It's possible that certain medications may also help patients in avoiding relapse, although there are no pharmacological interventions universally recommended for treatment at this time. A 2011 research paper outlined certain case studies involving medications that have shown positive results in treating dependence and helping patients maintain abstinence in the months following rehab. However, much more research is needed before their effectiveness can be confirmed. An addiction to inhalants can be treated at a rehabilitation program - but it's important to remember that treatment doesn't end with rehab. Aftercare is an important part of staying clean after leaving a treatment center. If you or a loved one have completed or are undergoing treatment for inhalant abuse and want to know more about what comes next, call 1-888-993-3112Who Answers? for more information. According to the National Institute on Drug Abuse, addiction to inhalants is uncommon compared to other commonly abused substances - however, when it does happen, it is an ongoing condition that requires treatment just like any other substance addiction. While the goal of addiction treatment is to help the patient stay clean after the program ends, relapse is common in the same way that relapse is common for many other chronic medical conditions unrelated to substance abuse. A 2000 paper, which is widely cited by the National Institute on Drug Abuse, compared drug abuse relapse rates to the relapse rates for other illnesses, including diabetes, hypertension, and asthma, and found them to be similar. Relapse, therefore, is not a source of shame, although it is an outcome that patients and their doctors should actively seek strategies to avoid. Following rehab, there are a variety of programs, therapies, and interventions available to patients to help them manage their addictions and stay sober. These continuing care options may encompass anything from counseling and therapy to medications designed to reduce cravings. 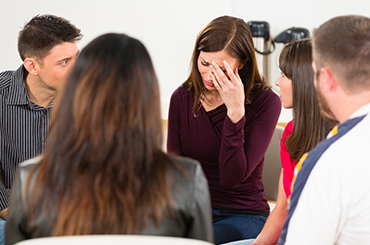 Counseling and group therapy is the intervention most often discussed when it comes to inhalants. These may include one-on-one therapy sessions designed to build confidence. While more research is needed on its effectiveness, experts have argued that teaching people ways to deal with social pressure, particularly in a group therapy session, is a good way cut down relapse. This is because inhalants are often used socially, particularly among adolescents. An Australian government review cited motivational interviewing, family therapy, and behavioral therapy as some forms of counseling interventions that should begin during rehab and be maintained after the treatment program ends. Family therapy may be particularly beneficial because there is a high prevalence of parental substance abuse in adolescents who abuse inhalants. A recent study found that CBT and a brief intervention for inhalant users had a positive effect on the reduction of inhalant abuse after one year. The 12-step treatment is a philosophy toward addiction that outlines a series of steps toward recognizing one's condition and learning to manage it. The 12 steps emphasize admitting that one's addiction is out of control, acknowledging the harm that it has caused in one's own life and the lives of others, making amends, and using acceptance and mindfulness as tools to develop the power to manage one's addiction. Twelve-step programs generally place an emphasis on social support through group meetings and are embraced by organizations including Alcoholics Anonymous and Narcotics Anonymous. The 12 steps also place an emphasis on a higher power and the importance of recovery and wellness in mind, body, and spirit. Recent studies have produced conflicting results on the effectiveness of Alcoholics Anonymous, Narcotics Anonymous, and other 12-step programs, with some studies concluding that they effectively reduce substance abuse rates, and other studies concluding that they are no more effective than any other treatment. Because 12-step programs rely on specific philosophies involving spirituality and the importance of prayer and meditation, they may simply be more effective for some people than for others. 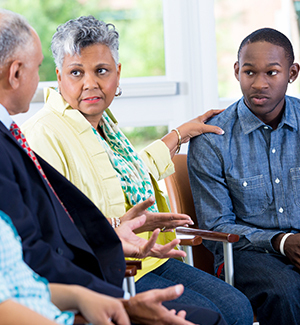 Multiple studies have shown that a strong social support network can help reduce relapse rates, so 12-step programs may be particularly valuable for people whose access to social support would be otherwise limited. Researching the 12-step philosophy and sitting in on meetings may help you decide whether a 12-step program is for you. There are currently no pharmacological agents that have been proven effective in the treatment of inhalant addiction. Some case studies have suggested that more research may be warranted into the effectiveness of certain medications, such as lamotrigine, but these studies should not be accepted as evidence in and of themselves. Prolonged inhalant abuse can cause debilitating lung, liver and other major organ system injury. Deficits in pulmonary functions and difficulties like coughing, wheezing, chest pain, shortness of breath and runny nose should be dealt with on a symptomatic basis. After leaving rehab, some people opt to transition back into their daily lives by way of a therapeutic community or sober living community. Sober living houses, sometimes called "halfway houses," are community homes that place an emphasis on sobriety and social support following rehab. Some studies have indicated that they reduce relapse rates for other types of substance addictions, such as opioid addictions. However, there is currently no evidence on their effectiveness for people addicted to inhalants. Further, cognitive impairment from abusing inhalants has been consistently observed in research, and sometimes persists after completion of inhalant addiction treatment. A sober living arrangement may enable individuals to re-align with their baseline functioning before they are thrust into a demanding world. Contingency management is a treatment approach that rewards "good behavior" in patients, such as staying abstinent. These rewards may come in the form of prizes or vouchers with monetary value. There is currently a lack of research on the effectiveness of contingency management for people dealing with an addiction to inhalants. However, studies have demonstrated that it can be effective for other substance addictions, suggesting that more research may be warranted. Inhalant abuse in adolescents leads to low academic achievement and subsequent difficulties in finding employment. Contingency management can improve adolescents' self-efficacy by providing rewards for achievements, to sustain prolonged improvement. Multiple studies have cited the importance of social support networks in helping addicts avoid relapse. Family members and friends can be vital components of a good social network simply by being available and supportive. However, sometimes it can be difficult to cope with a loved one's addiction. This is why many addiction counselors incorporate family therapy into treatment as a way of teaching family members healthy ways to cope with their loved one's addiction and helping foster better communication within families. There are also support groups available for the families and friends of people with substance addictions. Joining a support group can be a healthy way to build relationships with other people who are involved in similar situations and learning, in a group setting, how to cope with addiction in the family and provide better support. If you're interested in more information on better ways to support a loved one who is suffering from a problem with inhalant abuse, is undergoing treatment, or is looking into continuing care options, please call 1-888-993-3112Who Answers? to speak to a member of our support team.